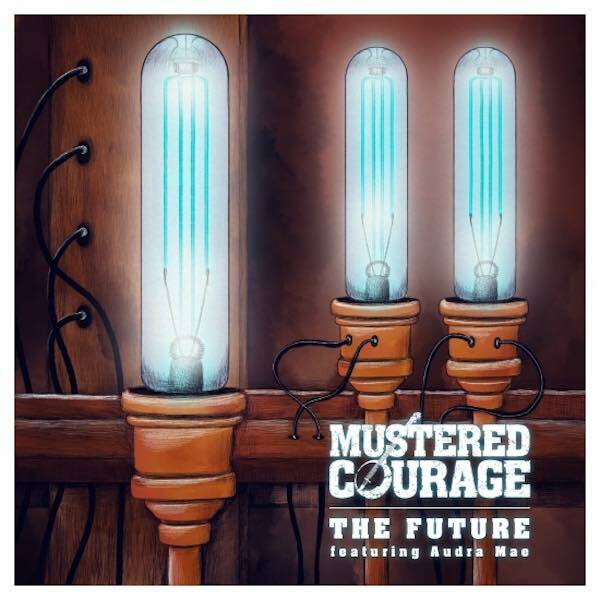 The Future is the new single from Aria Award nominees Mustered Courage. Mustered Courage is back with the second single from their third and critically acclaimed album White Lies & Melodies, The Future. The album has just been nominated for ARIA Country Album of the Year and was the feature album at PBS and RRR radio stations. The Future” features the vocals from Audra Mae, best known for her work with global superstars Miranda Lambert and Avicii, featuring on the #1 single Addicted To You. Mustered Courage has risen to the top of Australia’s folk and roots scene on the strength of their albums and energetic live shows, both of which have won them glowing reviews, loads of radio and press support, a Golden Guitar award and now, a nomination for the ARIA Best Country Album of 2015. The band is currently touring nationwide in support of White Lies & Melodies; a tour which began not long after the band returned from a mammoth tour of the US that included 37 shows in 55 days, including an appearance at the iconic Telluride Bluegrass Festival.